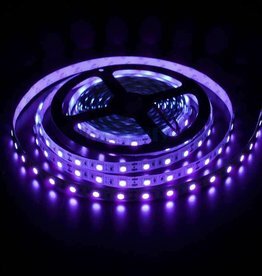 Here, you can order LED strips from the reel. 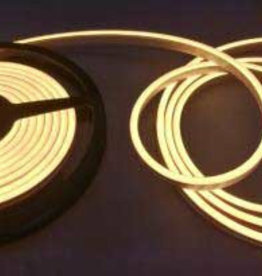 You can order the LED strip lights in steps of 50cm, and the LED strip will be delivered on reels of max. 5 meters. 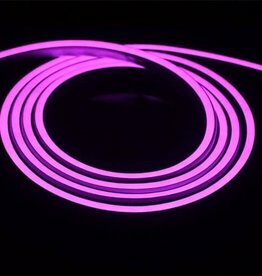 Example: To order a 3 meter long LED strip, put 6x50cm in your shopping cart. This will be delivered as one piece of 3 meters. 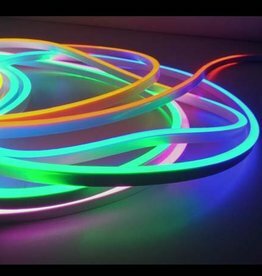 To order a 10 meter LED strip, order 20x50cm and you will receive 2x 5 meters, easily soldered or connected together to create one 10 meter long LED strip. 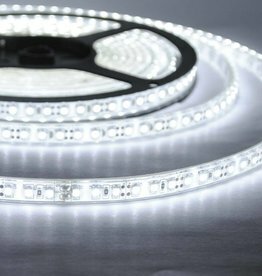 LED Strip lights are perfect for a variety of applications, such as LED under cabinet lighting and LED cove lighting. 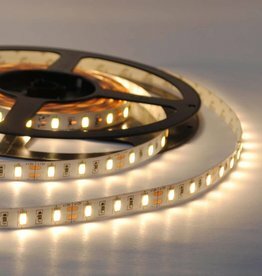 LED strip with side-emitting LEDs. Supplied from reel and can be ordered per 50cm. You need to solder the connections yourself. 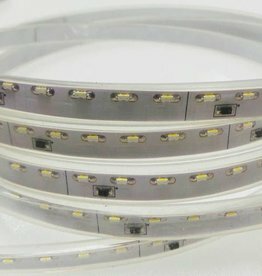 After cutting or soldering you may need to re-seal the LED strip. See "remark" below. 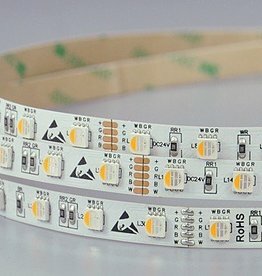 To connect the LED strip to 100-230V you will also need a power supply. These can be found in "Accessoires for LED Strips > Power supplies". 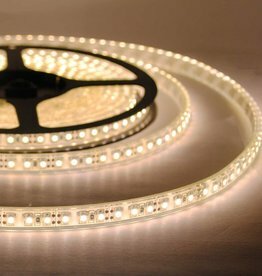 Please note that we sell LED strips in both 12 Volt and 24 Volt. 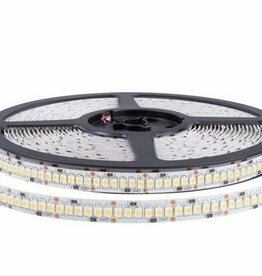 The advantage of a 24 Volt LED strip light is that you can connect more meters in one piece, without power loss. You need to choose the power supply in the correct voltage as well: Use a 12 Volt power supply with a 12 Volt LED Strip and a 24 Volt power supply with a 24 Volt LED Tape! 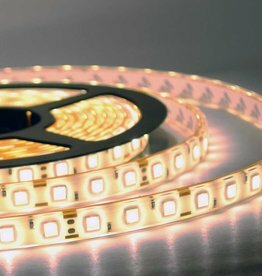 The product page for every LED strips explains which power supply you will need based on the LED Strip length that you want. You can use the filters on the left hand of this page to filter by color, voltage, wattage, waterproof, LED type, number of LEDs per meter, and more. 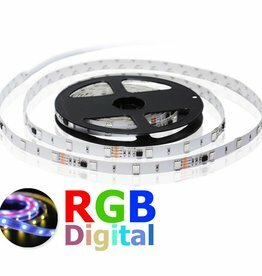 This makes it very easy to find the exact LED strip that you are looking for.